Come see this luxurious, 1 bedroom condo, located in the award winning Aqua building located just steps from some of Chicago's most iconic locations including Michigan Avenue, Millennium Park, and the theater district. Open Living/Dining Room with large balcony perfect for relaxing and grilling with stunning views of Lake Michigan, Millennium Park, Pritzker Pavilion & more! The gourmet kitchen has Snaidero 42' gray Italian cabinets, quartz counter top, decorative glass back splash, stainless steel appliances, large island with custom made top & bamboo flooring. Master bedroom features large walk in closet with a custom-made entry door with bookshelves, storage, designer organized wardrobes, remote controlled power shades & comfortable cork flooring. In - unit laundry and readily available rental garage parking if needed. 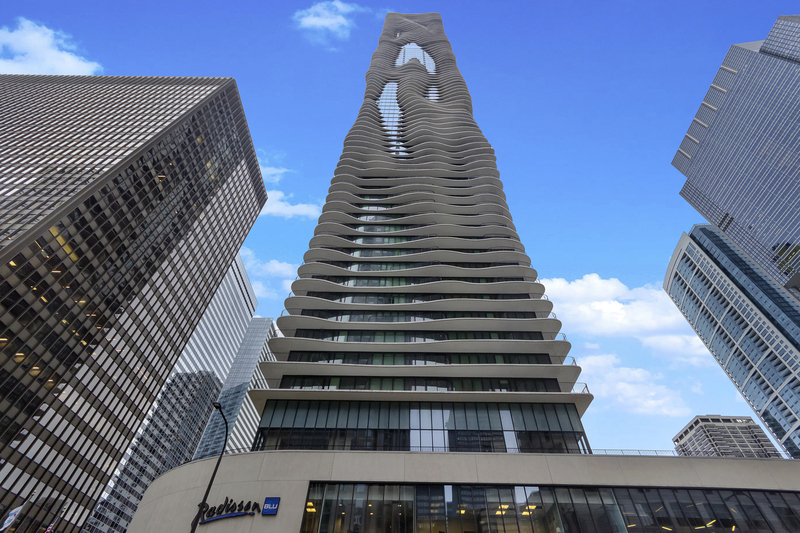 The Aqua overlooks Lakeshore East Park which features large open space, pathways, a children's playground, dog park and is surrounded by restaurants and stores. Directions Wacker Drive East of Michigan to Columbus. Turn South to Property. Property information last modified by seller on Monday, March 25, 2019, 11:14 AM CDT. Information Deemed Reliable But Not Guaranteed. Unauthorized duplication, use, or linkage is prohibited. The information on this web site is for personal, non-commercial use and may not be used for any purpose other than to identify prospective properties consumers may be interested in purchasing. Monthly Payment Calculator results are for illustrative purposes only, not a financing opportunity; calculations assume a 30-year fixed-rate mortgage and do not include closing and other costs. Property Tax on NEW properties is estimated at 1.5% of Listing Price for payment calculation purposes; actual value may be higher or lower.